With the return of wolf hunts to Idaho and Montana, I doubt there’s a predator caller roaming the lower 48 who hasn’t thought about taking a shot at the alpha canine. The entire Northern Rocky Mountain wolf population has been fully recovered for some time now, and officials estimate Montana’s wolf numbers at 566 and Idaho’s at more than 1,000. Because Idaho wolf numbers far exceed management goals, and the wolves are preying heavily on other game animals, the state has made population reduction a top priority for this year’s hunt. There is no statewide quota, and each hunter may take two wolves. The season is slated to remain open through the end of March. In the Lolo and Selway areas where wolves are taking a heavy toll on elk, the season will remain open through June. A resident wolf tag costs $11; the price of a nonresident tag was reduced from $186 to $32 to encourage out-of-state hunters. A $13 resident or a $155 nonresident hunting license also is required. Montana set a statewide quota of 220 wolves that surely won’t be met and scheduled its hunt to close December 31. Despite Idaho’s attempt to boost the take, I doubt hunters will shoot enough wolves to significantly reduce their numbers. Wolves are incredibly intelligent and adaptable. They are keenly attuned to every nuance of their human pursuers. Hunters who took a wolf in the lower 48 two seasons ago, during the first Idaho and Montana seasons, tell me getting a shot at a wolf that had never before been hunted or called seemed relatively easy. However, on subsequent hunts, they found out how quickly wolves adapt to hunting pressure. The wolves were not as vocal and far less likely to respond to howling challenges or predator distress calls. 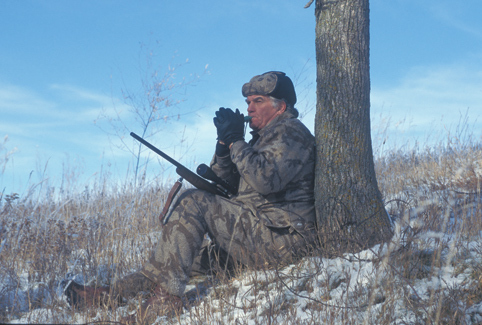 Hunters who were willing to put in the time and effort, to get well off the beaten path, were able to take wolves late in the season. But far more wannabe wolf hunters did not fill their tags, and I doubt that lifting the statewide quota will significantly increase the harvest in Idaho this season. But maybe, the popularity of wolf hunting will sustain the effort long enough for the locals to figure out a thing or two that will work, as they already have in the far North. Alaska and Canada have long allowed wolf hunting and are still the best places to get a wolf. Knowledgeable guides and outfitters may put you in the right place at the right time. All a nonresident needs to hunt wolves in Alaska is a general hunting or trapping license and a good guide or working knowledge of the terrain. Regulations vary by province in Canada. Nonresident hunters are allowed to take a wolf some places; other places, they aren’t. But even where wolf populations and wolf hunting are firmly established, taking a wolf is not an easy proposition. I was hunting Central Barren Ground caribou in the Northwest Territories, where wolves are plentiful and legal game for nonresidents. I got a wolf tag, just in case the opportunity presented itself. My guide and I were perched against a rock outcropping on a small knoll glassing for migrating caribou when I spotted a wolverine loping across the open tundra a quarter-mile away. Wolverine aren’t legal to hunt, but I am always on the lookout for photo opportunities, too, so I unlimbered my Nikon and tried to penetrate the crosswind with a series of loud squalls and hoarse screams on a magnum Crit’r call. No luck; the wolverine disappeared without a look in our direction. From the get-go, my guide had been apprehensive about my using predator calls, as the area also holds a healthy population of grizzlies. My stating I’d never photographed an actual grizzly attack didn’t seem to do much for his peace of mind. Needless to say, he kept a sharp eye on our backside. I still had the call in hand when he hissed to look behind. I half expected a charging grizzly but instead saw a gorgeous silvery wolf standing broadside on another knoll 250 yards away. The minute I saw the wolf, it dropped out of sight. The surrounding tundra appeared to be wide-open barrens, yet somehow that wolf simply disappeared. Throughout the remainder of the hunt I literally wore the reed out of that call without seeing another wolf. Without a doubt, one of the most exhilarating and frustrating predator calling situations I ever experienced was another unexpected wolf encounter, this one while I was bear hunting in northern Saskatchewan. I had been sitting a bait at the edge of impenetrable swamp and muskeg for several evenings, waiting on a humongous brown-phase black bear I’d gotten photos of with a trail camera. The evening was quiet with no bear activity, so to break the monotony and maybe pique a bear’s interest, I unlimbered a Burnham Black Magic. I’d called in bears before with the gravelly sound, which imitates a deer-sized critter in distress. Big bears like big meals. The sound of the call had barely died when a deep howl sounded from a short distance back in the swamp. A howl that sure didn’t come from a coyote. A minute later, a huge wolf stepped out of the dense pines and stood surveying the bait pile. At the time, we were using V-shaped pole corrals to force bears into good shooting positions, and the wolves had been working over the baits right along with the bruins. Later, when we switched to 55-gallon steel drums to keep the hordes of crows and ravens from decimating our meat scraps, the wolves stopped working the baits. Man, the sight of that majestic wolf standing broadside at point-blank bow range got my adrenaline pumping. The frustrating downside was that Saskatchewan did not allow a nonresident like myself to take any predator, much less a wolf. Tried to get a photo, but as I reached for the camera, the sharp-eyed canine slipped away. Coke Wallace of Healy, Alaska, guides late-season snowmobile hunts January through March when daylight hours are long enough to make such hunting viable. According to Coke, it is never easy, but taking a trophy wolf makes the effort worthwhile, and he does use calls. Coke cruises the vast Alaska tundra and mountain terrain, pausing periodically to play a lone wolf howl on a FoxPro electronic caller. Once he gets a response, or if he figures he’s in good wolf country, he hides the machines and sets up to call. He believes a wolf will respond from 3-5 miles away, so he’s in no hurry. His favorite “bring ’em in close” sound is a coyote pup distress call. Wolves are territorial, hate coyotes, and often respond to these sounds on the dead run. Snowshoe hare and jackrabbit distress sounds also work for Coke. He figures wolves respond to howling 60-70 percent of the time but admits the kill percentage is much lower. Cole said most shots are taken at 100 to 300 yards, and while a .220 Swift or .22-250 is adequate to make a clean kill on a wolf, the Alaskan winds can raise hob with the light bullets, so he prefers something a bit heavier, like a .243 or his personal favorite .25-06. When I hunted wolves in Alaska, I used a Model 70 .220 Swift and took six wolves at between 100 and 400 yards, all with 53-grain Sierra hollow-point benchrest bullets, and all were clean one-shot kills. My pilot partner took as many with a Ruger Mini-14 .223 shooting 55-grain bullets. Long-range accuracy, in my estimation, is the most important factor. A number of outfitters in Canada who also specialize in winter wolf hunts rely on baits and blinds to get their clients shots. Others cruise the backcountry on four-wheelers or snowmobiles, howling to pinpoint wolf packs and then move quietly into position to call them in for a shot. They crisscross the backcountry by vehicle until they cut a pack track and then pursue the wolves silently on snowshoes or cross-country skis, hoping to get close enough to set up and howl or lure them back in range with a predator call. I’ve used this same tactic for fox and coyotes and feel it is without doubt one of the most challenging and rewarding hunts. Pinpointing any predator’s location increases the chances of calling success. It is definitely worthwhile when pursing wolves. One may only hope that these and other strategies eventually prove effective in the American West. The ill-conceived “reintroduction” of Canadian wolves to the American West has devastated local deer, elk and even moose populations, an easily foreseeable consequence that was ignored and then denied by those in charge of the operation. In addition to turning thriving big-game populations into wolf crap, transplanting these canines introduced a gamut of parasites, including Hydatid disease, which infects other wildlife, livestock and may even be fatal to humans. The biologists who ignored warnings about this other consequence of moving wolves into new environs are just now realizing the seriousness of another monumental blunder. Last summer, when U.S. Federal District Court Judge Donald Molloy upheld a Congressional mandate ordering removal of Idaho and Montana wolves from the endangered species list, he effectively turned over management of the wolves to the states, which already had scheduled resumption of wolf hunting seasons that had to be cancelled in 2010 when animal rights activists forced a temporary return of the wolves to the protected list. 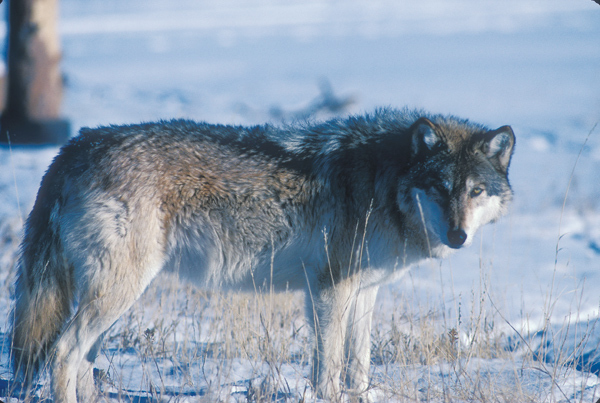 Removing these wolves from misguided federal management was a step in the right direction. But wolf hunting and trapping are not allowed elsewhere in the lower 48, where wolf numbers continue to grow beyond management goals, and the release of more wolves into northern Mexico and the Southwest continues, likely the next battleground in the wolf wars.